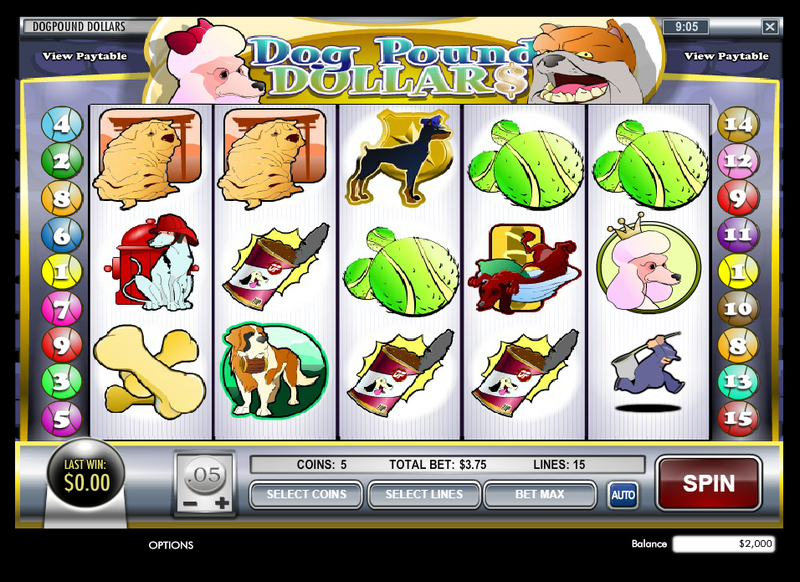 Dog Pound Dollars slot is a game themed on prized pooches. Developed by Rival Gaming, this 5 reel, 3 row game has a total of 15 paylines. It joins other slots in the Rival portfolio, including Alien Invasion, Whale O' Winnings and Vintage Vegas, to name a few. All of which are available to play for real money on mobile, tablet and desktop. Land 3, 4 or 5 Scatters symbols anywhere in view to win 15 free spins with 3x multiplier on all winning lines. This fairly bog-standard bonus game is about the highlight of this canine-inspired slot game. For Dog lovers you may also want to look out for Microgaming's Dogfather or Diamond Dogs from NetEnt with both games featuring plenty of 4-legged friends.